At this age, engineering applications are demanding effective ways of heat recovery and energy savings for their optimum performance. Among other cooling techniques, pulsating heat pipes have emerged as a convenient and cost effective thermal design solution due to its excellent heat transfer capability, high thermal efficiency and structural simplicity. The paper presents an experimental study on the operational limit of an aluminum closed-loop pulsating heat pipe (CLPHP) charged with ammonia. It consists of total 14 turns of aluminum pipe with 3 mm inner and 4 mm outer diameter. Ammonia was used as working fluid with 3 different filling ratios such as 0.4, 0.6 and 0.8. Operation orientations were vertical, 30°, 45°, 60°, 90° and 180° inclinations. Constant electric heat input of 36 W was applied to the heating block and temperature rise in various sections was monitored till steady state was reached. Temperature was measured at different locations of the CLPHP by using thermocouples. The effects of operational orientations and filling ratios were investigated on heat transfer by working fluid Q̇php (Watt), overall heat transfer coefficient U (W/m2 °C) and thermal resistance R (°C/W) considering the measured temperature. The result shows that, 0.4 and 0.6 fill ratios and inclination angle of 30º give better result than any other arrangements for CLPHP. Md Shahidul Haque was born in Dhaka, Bangladesh in 1969. He received his B.Sc. and M.Sc. degrees in Mechanical Engineering from Bangladesh University of Engineering and Technology (BUET) in 1994 and 2011, respectively. He joined in Electrical and Mechanical Engineers (EME) Corps of Bangladesh army in 1995 after completion his military training. He has been with Military Institute of Science and Technology (MIST), Electrical and Mechanical Engineers Centre and School (EMEC&S) and Engineering cadets at Bangladesh Military Academy (BMA) as instructor. He also served in Bangladesh Machine Tools Factory (BMTF). He is now posted as commanding officer production in 901 Central Workshop of Bangladesh army. Currently he is pursuing Ph.D. degree in Mechanical Engineering from Military Institute of Science and Technology (MIST) Dhaka, Bangladesh. His main area of research interest is heat transfer through different media. He is a fellow of Institute of Engineers Bangladesh (IEB). Antara Majumdar was born in Dhaka, Bangladesh in 1991. She received her B.Sc. in Mechanical Engineering from Military Institute of Science and Technology in the year 2012. She joined Bangladesh Army decorated by the rank of Captain as a lecturer in the Department of Mechanical Engineering in 2014. Now she is posted in Bangladesh Military Academy as a lecturer in the Department of Mechanical Engineering. She is continuing her M.Sc. in Mechanical Engineering program in Military Institute of Science and Technology. She is also a member of Institute of Engineers Bangladesh (IEB). Her current research interest is in the field of heat transfer and fluid mechanics. Md. Faisal Kader was born in Khulna, Bangladesh in 1979. He received B.Sc. and M.Sc. in Mechanical Engineering from Islamic University of Technology (IUT) in 2001 and 2003, respectively. He started his professional career as Lecturer on 23 December, 2003 in the Department of Mechanical Engineering of IUT. He was appointed as Assistant Professor in the same department on 5 July, 2006. He was awarded the Ph.D. in the field of Heat Transfer from Kongju National University (KNU), Republic of Korea in 2010. Dr. Md. Faisal Kader was appointed as Associate Professor in the same department of IUT on 21 June, 2013. Considering his academic excellence and dedication to research Bangladesh Army had recruited him as Major with 4 years of antedate seniority on 26 July, 2015 in the Corps of Electrical and Mechanical Engineers (EME). Dr. Kader has been posted to Military Institute of Science and Technology (MIST) in 2015 as Associate Professor. 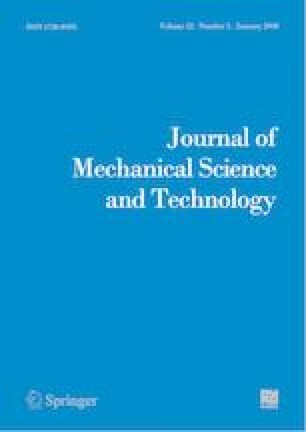 He has been appointed as reviewer of American Journal of Mechanical Engineering (AJME). He chaired and co-chaired different technical sessions of conferences at national and international level. He is working extensively in the area of Fluid Mechanics, Thermal Engineering and IC Engine, both in experimental and computational field. Currently, he is appointed as instructor in Mechanical Engineering Department of Bangladesh Military Academy (BMA).